Send birthday greetings with Hawaiian style and let that special someone know how much you care. 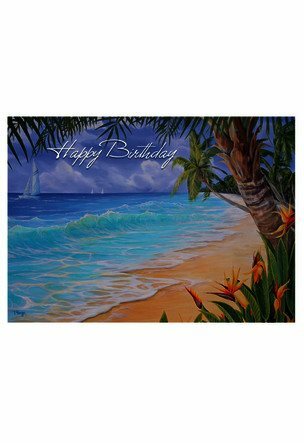 This Beach Birthday Card will definitely add some Aloha to their special day! Beautiful art work. Am saving to give as bday card for someone her appreciates Hawaii.